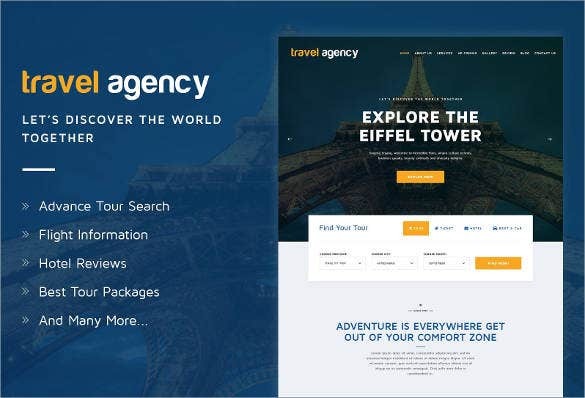 When you are in the business of organizing tours and travels of people, it is very important that you have the adequate exposure and virtual presence to make your business grow by the day and the night. 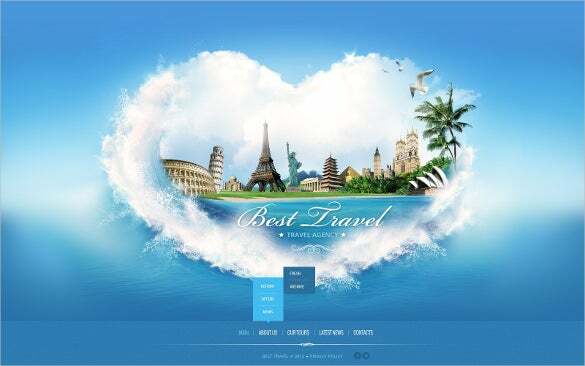 The best way to do so is with the help of travel agency website templates and with premium travel wordPress templates. 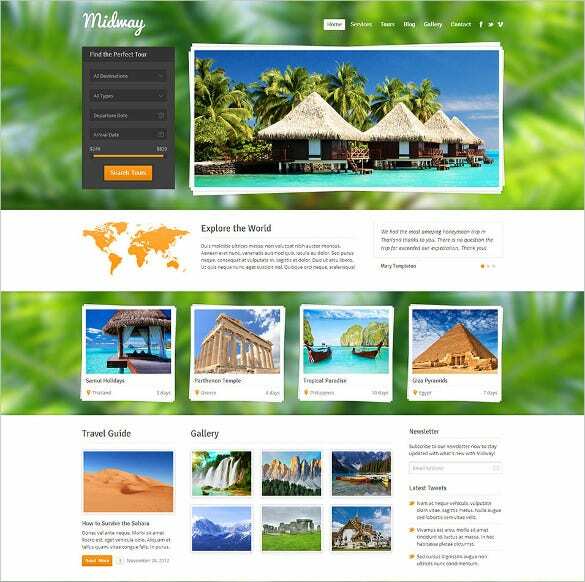 These templates are very easy to use and fairly easy to install as well. 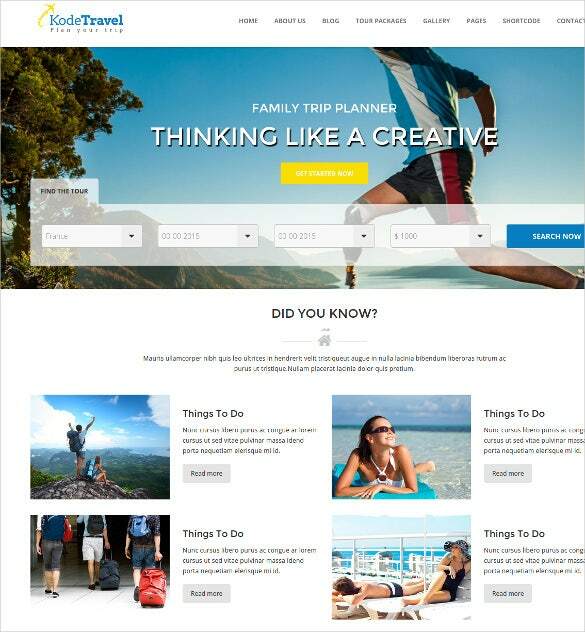 The templates will boost your business by a large margin and make it capture more and more market share with each passing day. 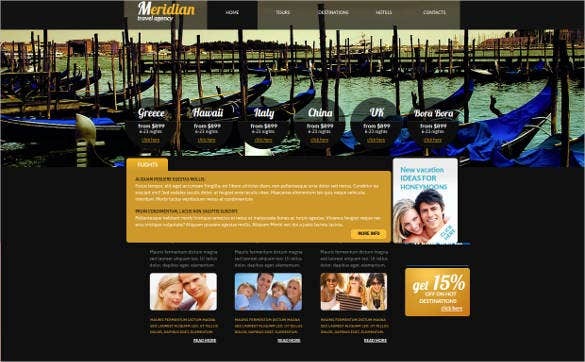 The templates are customizable in terms of color, designs and fonts which make them top rated. 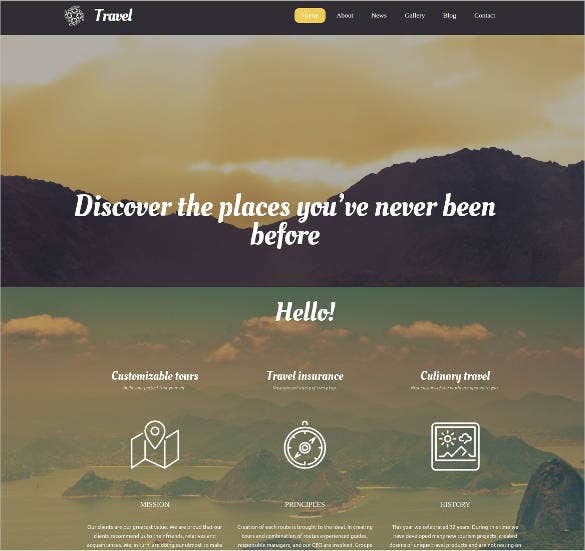 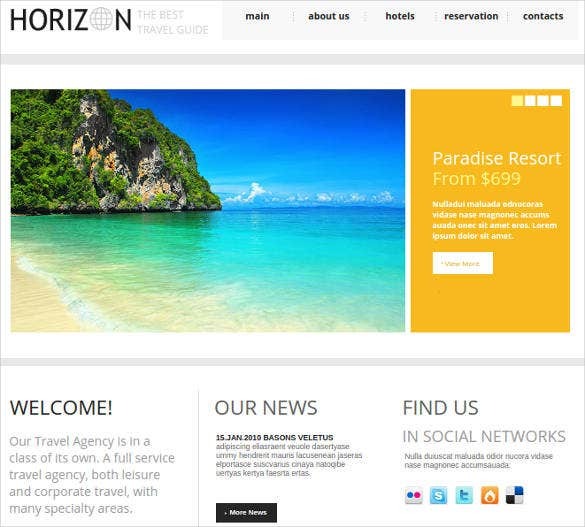 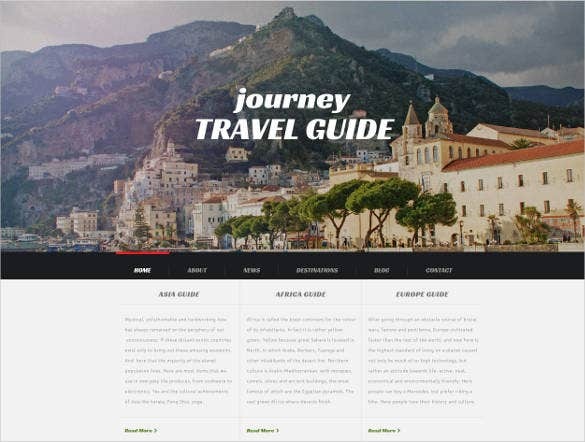 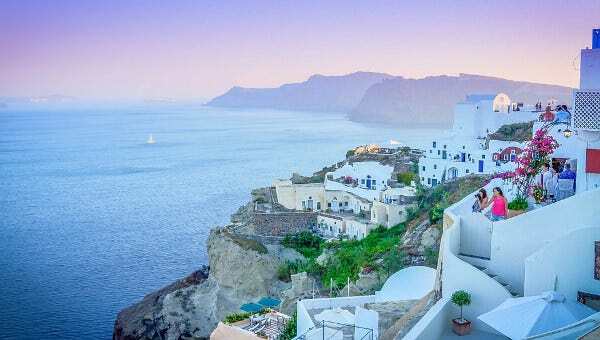 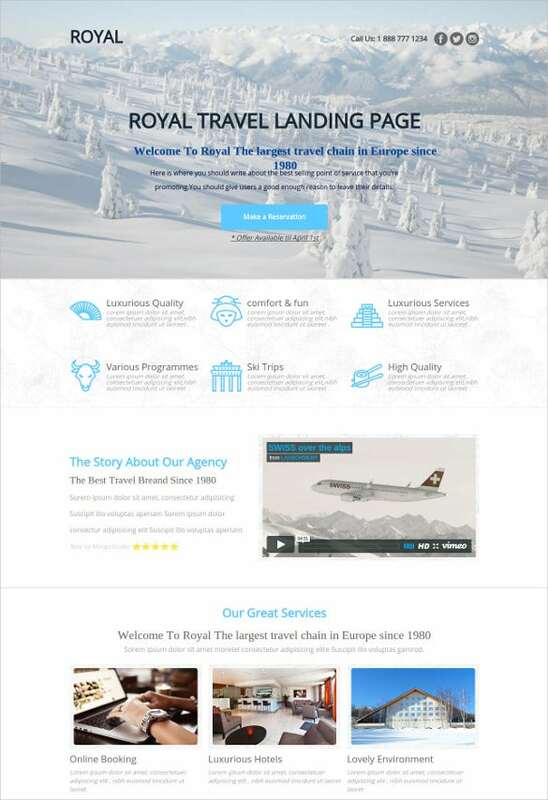 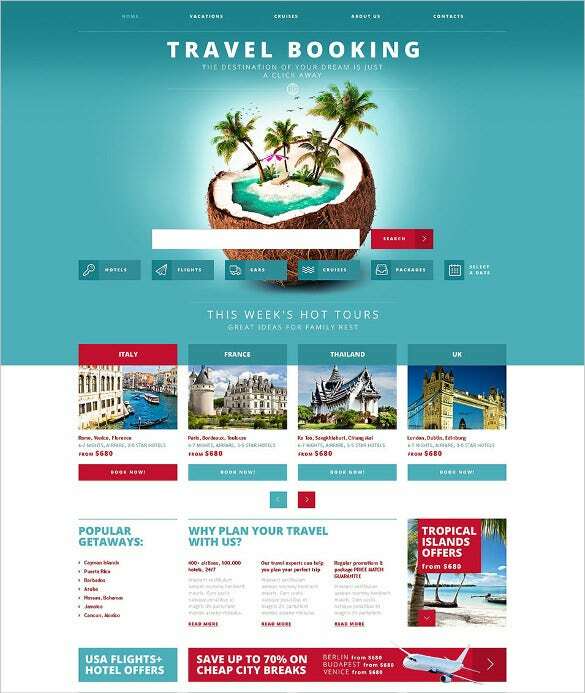 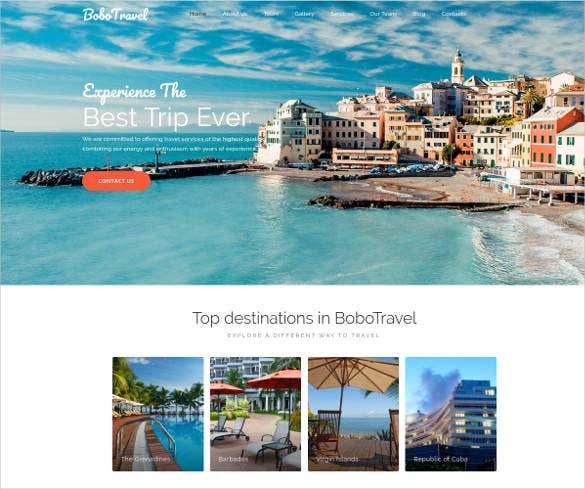 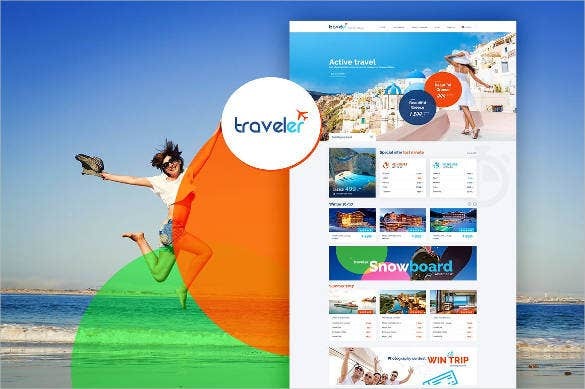 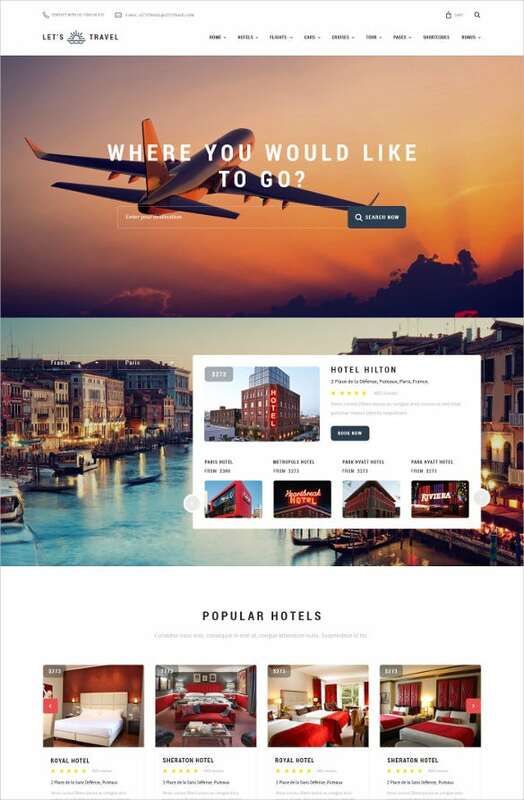 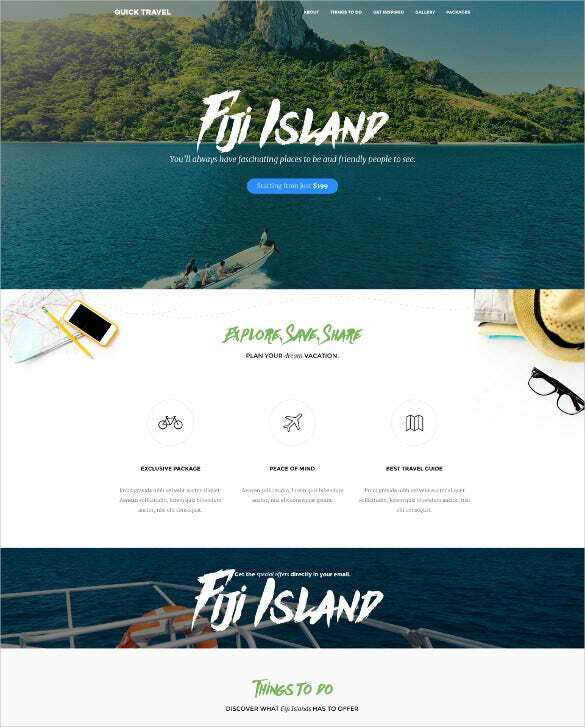 A number of such travel agency website templates are available for free as well which you can install and get an experience of what it is to use these website templates. 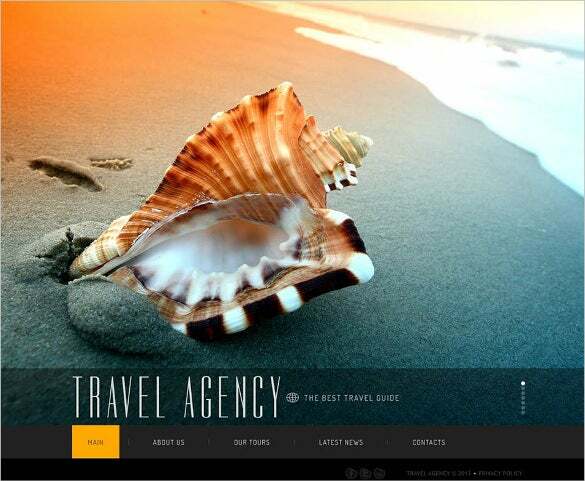 Travel Agency Responsive Website Template is a fully responsive, cross browser compatible template. 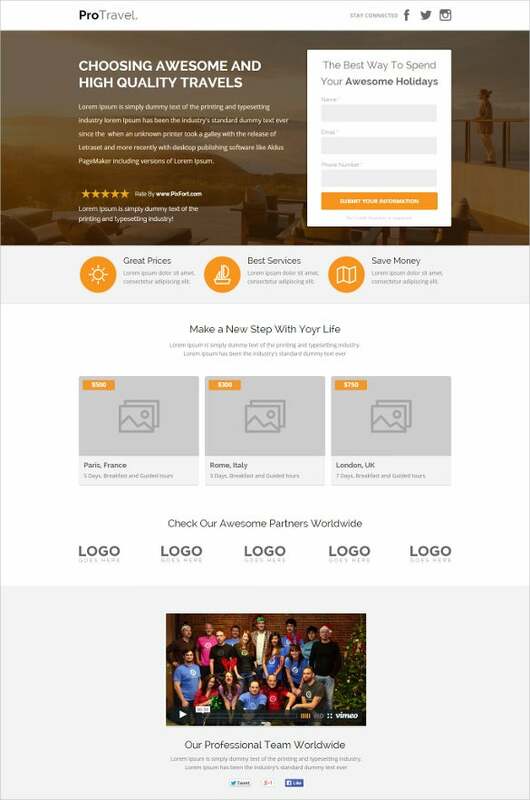 It has a two column layout and comes with a working contact form and a search form. 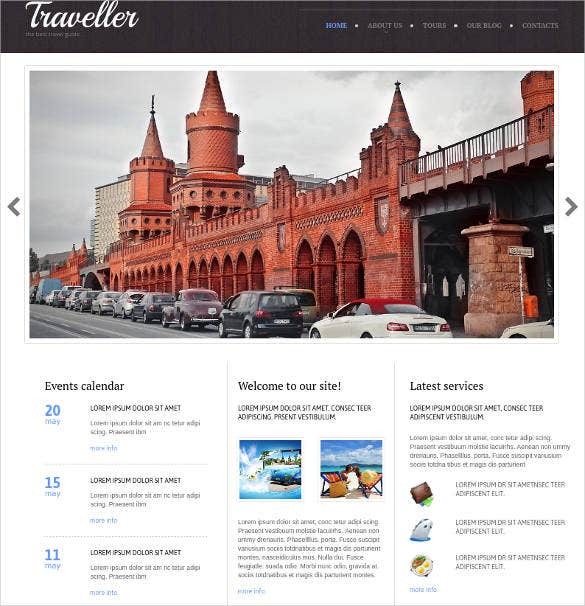 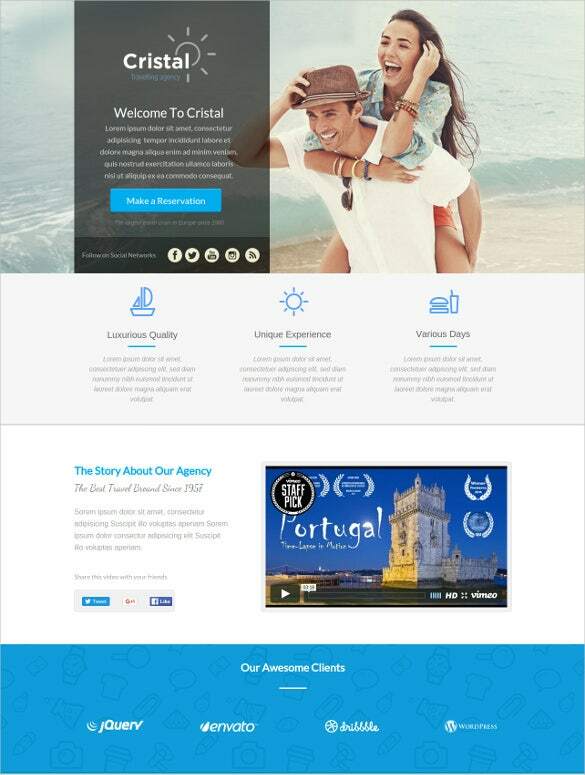 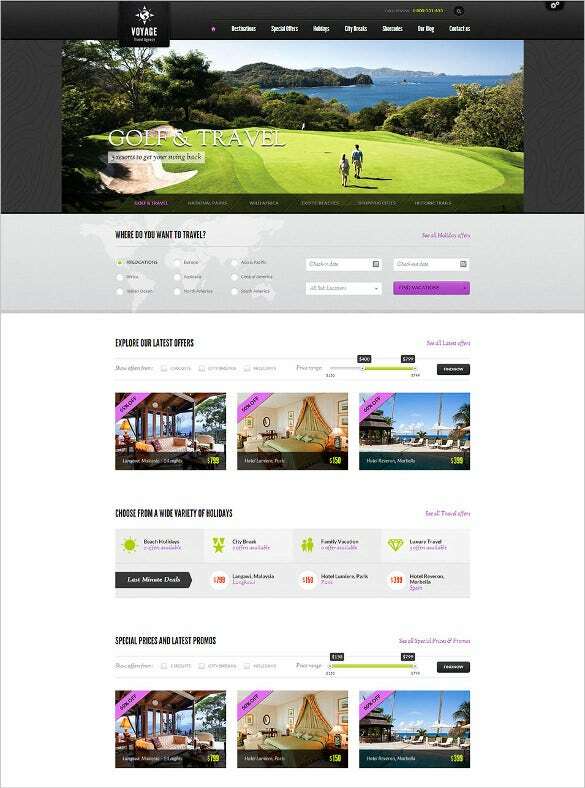 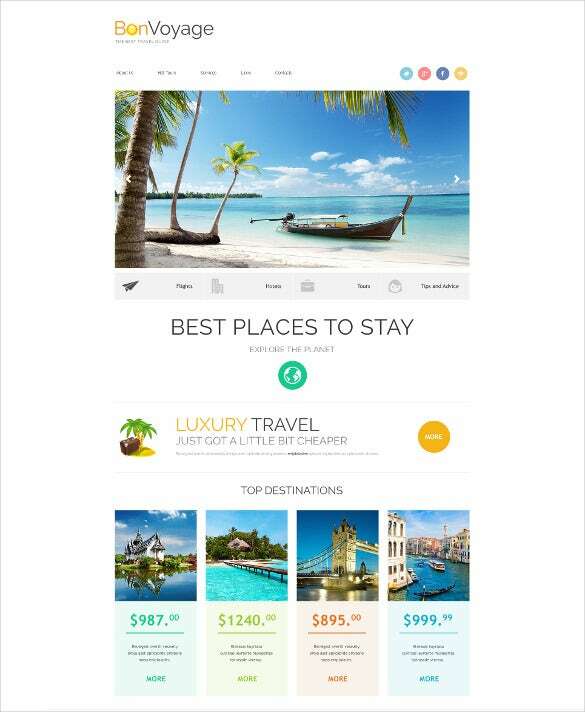 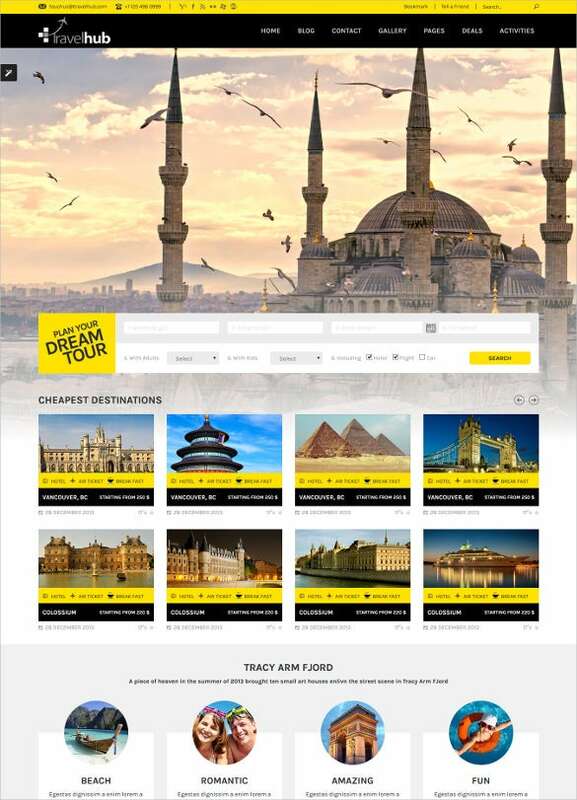 Travel Agency Responsive Website Template is a fully responsive, cross browser website template. 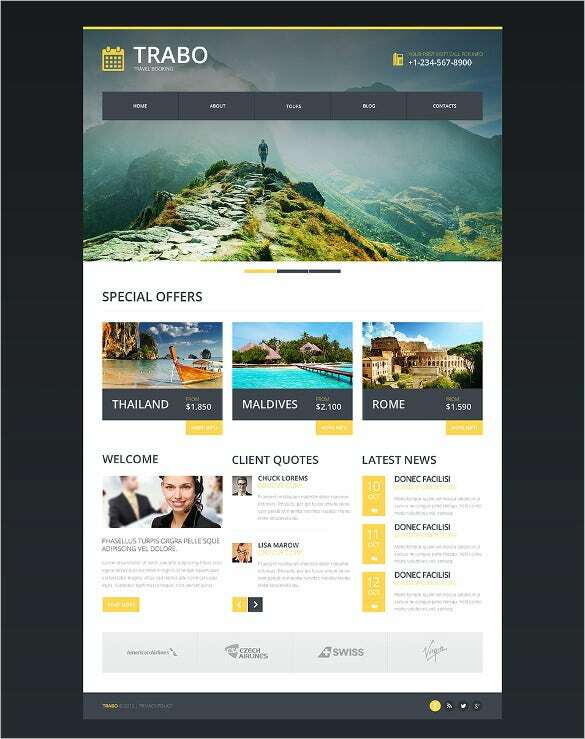 It sports a stunningly beautiful design, has a two column layout and comes with a working search form. 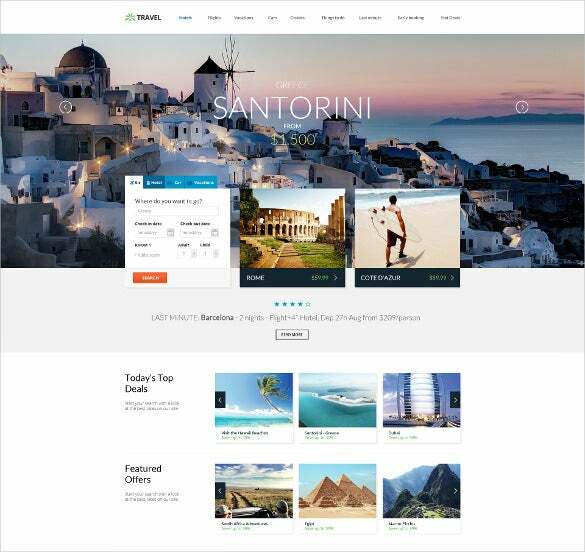 However, the best features are available when one signs up for premium templates in which you can change images, add drop down menus, preset pages, get multiple color schemes and much more. 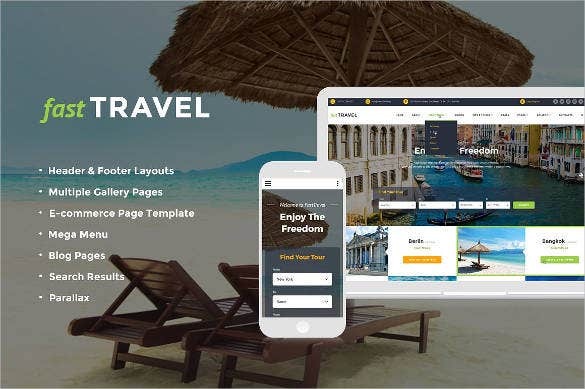 One another essential fact when choosing the travel agency website templates is that one must chose responsive layouts as it will be accessible from portable devices such as tablets, mobile phones as well.